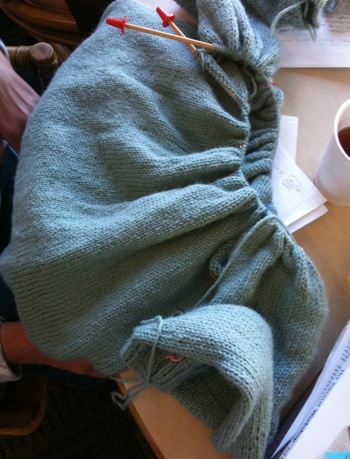 Pictures From Tuesday’s 5th Basic Sweater Class! Greetings all, Pictures speak better than words here – all this knitting is beautiful! Linda's sweater sleeve and body! 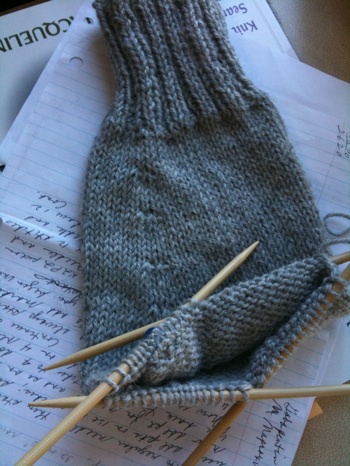 Linda's first project (sleeve here) using double pointed needles! Close up of Linda's sleeve - check out those beautiful bar increases! 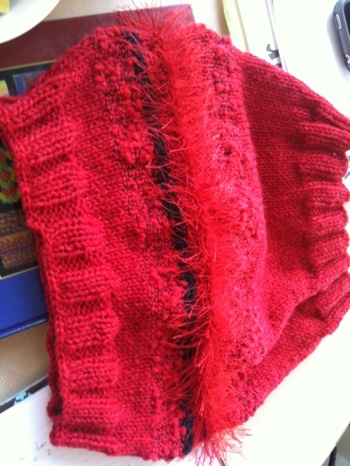 Nancy, we missed getting a shot of your sweater in progress, but here is a photo of one of your own neck warmer designs - quite something! 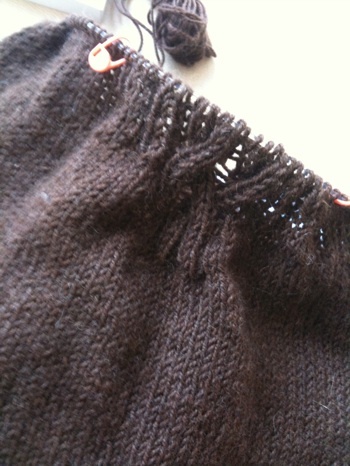 Sue's Sweater - all joined and beginning the "V" neckline! Cory, we seemed to have missed getting current shots of your sweater! See you all in a couple of weeks if not before. 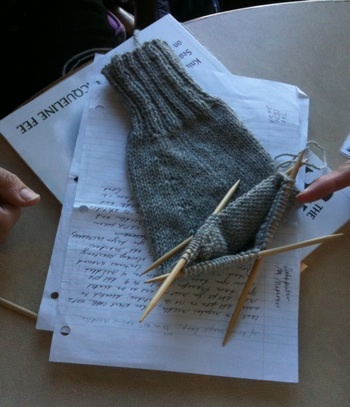 This has been quite something to see you all take such wonderful steps in your knitting.